The Honda CR-V was one of the first compact SUVs around and offers class-leading practicality combined with the brand’s unique styling. Athletic contours and a distinctive, wide front grille characterise the vehicle’s exterior, while inside you’ll enjoy an ergonomic driving position for optimum visibility and impressive space for you and your passengers. Whether you’re carrying sports gear, a push chair or the weekly shop, the boot of a used Honda CR-V can swallow a generous amount, leaving the cabin uncluttered. Hop into the driver’s seat to discover this powerful model’s strength: its refined and economic engine range. With swift acceleration and plenty of torque, the CR-V will get you, your passengers and luggage to your destination effortlessly. A family vehicle needs to impress when it comes to safety. The four-wheel drive option is unrivalled for grip, while six airbags and stability control come as standard whichever variant you choose. For those with a child seat to secure, ISOFIX mounting points are a standard feature too. Find out more about this practical model by contacting Drift Bridge Honda in Gatwick or Redhill. 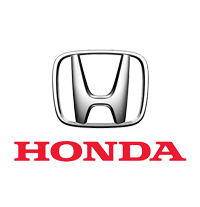 Our sales advisors will be happy to take you for a test drive or offer further details about our used Honda CR-V models.